Durdle Door is a natural limestone arch on the Jurassic Coast near Lulworth in Dorset, England. It is privately owned by the Welds, a family who owns 12,000 acres in Dorset in the name of the Lulworth Estate. It is open to the public. 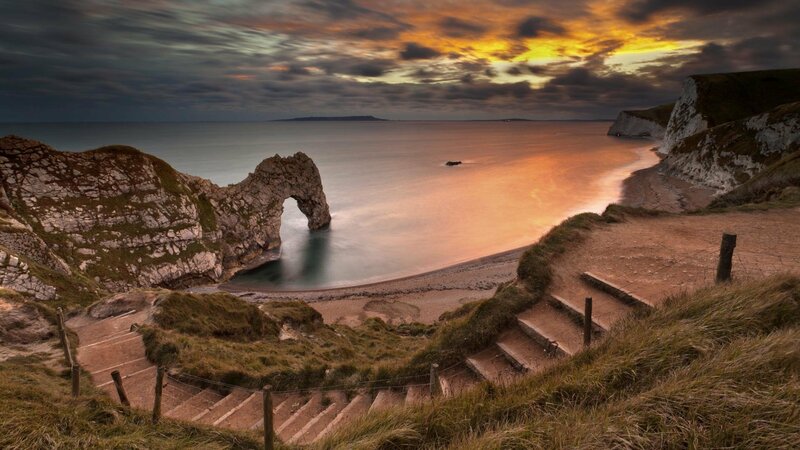 Explore More Wallpapers in the Durdle Door Sub-Category!